George Galloway invited to speak at far-right rally targeting Golders Green, in the heart of London's Jewish community. One of the main organizers of a neo-Nazi rally targeting London's Jewish community has extended an invitation to far-left politician George Galloway to address the gathering of anti-Semites, citing Galloway's stance on Jews and Israel as a common cause. Joshua Bonehill - a fascist activist and convicted petty criminal, who initiated the so called "anti-Jewification" initiative targeting British Jews - announced on his website that he had personally invited Galloway to speak at the rally. While noting that on most other things "George Galloway and myself are completely ideologically opposed,” seeing as “Galloway is a socialist, a mixer of race and indeed a dog in the eyes of many," he added that "in the interest of balance and his stance towards Israel and Jewry, he has been invited to speak on July 4th at Golders Green." The date and location of the anti-Semitic rally is no coincidence: July 4 is the first Shabbat of the month, and Golders Green is at the heart of London's Jewish community. 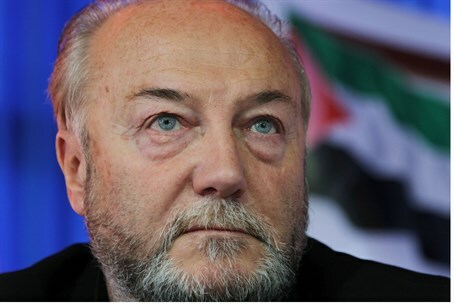 Galloway, who intends to run for the post of mayor of London, recently said that he plans to use his hoped for position to rally support for the Palestinian cause. He has been accused by many British Jews of stoking anti-Semitism, particularly due to his vocal support of anti-Semitic Islamist groups such as Hamas and Hezbollah, as well as the Iranian regime. Bonehill said Galloway would not be allowed to promote his mayoral candidacy; "he will be there strictly to oppose Jewry," he wrote. Bonehill claimed Galloway was "supportive" of his initiative, although he offered no further details. British MPs have called to ban the rally, as British Jews mobilize to oppose it. Among other things neo-Nazis announced they also plan to desecrate Israeli flags and Jewish holy books in solidarity with the Palestinian Arabs and against the State of Israel.